Teflon Tim: You Can't Mess With Wells Fargo - The Kafafian Group, Inc.
September 2016 – Disclosed that they created two million bogus accounts without customer consent to hit the bank’s “eight is great” cross-sell targets. That fiasco cost them over $800 million in fines and legal settlements. September 2016 – Wrongfully repossessed service members’ cars. Some of whom were deployed overseas. Thirty million in fines and restitution. April 2018 – Agrees to $1 billion in settlements for auto loan and mortgage abuses. I recently addressed a bank client’s all officer meeting to discuss industry trends. 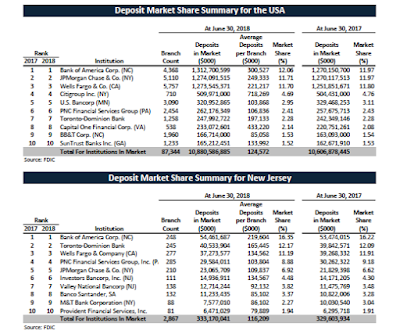 As part of my comments, I presented the following table of New Jersey Deposit Market Share. I also included the USA deposit market share. 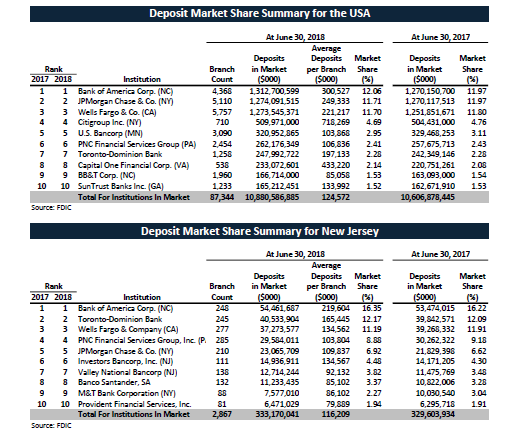 In spite of the cascade of bad news, the bank ceded 72 basis points of deposit market share in New Jersey and only 10 basis points nationwide. And this was while they were imposed with a growth restriction. 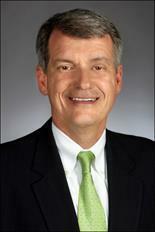 No wonder why Teflon Tim is smiling in his investor relations pic. I thought it was the green tie. Luck of the Irish. That sort of thing. Wells’ challenges are a blinking light for a larger problem. Notice the bigger banks all held serve and maintained leading market share. As community banks, we have not developed a strategy to break through.